Team Sans Souci, your Chandler, Gilbert, Mesa, Queen Creek and Greater Phoenix Valley Real Estate Agents. Get positive results when buying or selling a home! Trusted agent that buyers and sellers refer their friends and family to! Team Sans Souci takes a different approach to real estate, one that is built on personal touches, win-win deals, and positive results. We help you buy smart and sell well! "When we first decided to purchase our second home, we were skeptical about buying a short sale in Chandler, Arizona and desperately looked for a traditional resale. 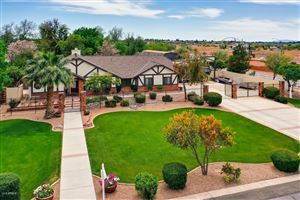 Since the Chandler real estate market was SATURATED with short sale homes, we were not left with many options when finding the perfect home for us in Chandler,Arizona. My brother-in-law referred us to who he believes is the best real estate agent in Chandler, AZ, and that is Elaine Sans Souci! Elaine assured us that the process of buying a short sale was not as difficult and scary as we thought it to be. So we placed an offer on a short sale in Chandler and crossed our fingers. Elaine kept us up-to-date during the entire short sale purchase transaction, letting us know every time there was progress and sometimes calling to check in on us when there wasn't. Almost two years later our Chandler short sale home has turned into our DREAM home. We thank Elaine Sans Souci for helping us buy a short sale and for keeping one step ahead of the bank during a seamless transaction. Elaine is definitely one of the best real estate agents in Chandler, AZ and we have referred her to several of our friends".